Our wonderful food is rich and aromatic, cooked with an exotic blend of herbs and spices unique to our restaurant. 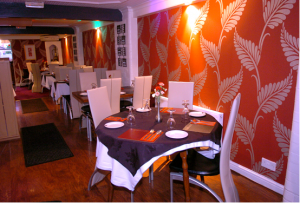 No other Indian restaurant in Stourbridge offers the exotic blend of flavours that Balti Bazaar chefs provide, and have been ranked officially by leading authorities such as the Good Food Guide, Good Restaurant Guide and British curry Awards as the ‘best place to dine in Stourbridge’. Our dedicated staff at Balti Bazaar aim to emulate this to the fullest, ensuring that each and every one of our customers has the finest Indian dining experience. We offer our services to anyone that has an interest in Indian food, Our Indian restaurant is perfect for anybody in the Stourbridge area, also including the areas of Hagley, Bromsgrove, Belbroughton, Halesowen, Old Hill, Cradley, Oldswinford, Dudley, Oldbury and kidderminister etc to deliver or to host a private function or just enjoy a meal of the finest food that we have to offer. The premises is air conditioned for extra comfort and on further inspection of the internal surroundings it is worth pointing how each table is perfectly set giving a true feeling of luxury and ambiance. We strive to build a sound relationship with all our valued customers who look to us for consistently excellent quality, value and service. Our staff continues to be best qualified and equipped workforce in the Midlands.